There are three kiddos in this home. Trust me, I don't know how each kiddo ended up with not one, but two blankies that they love. 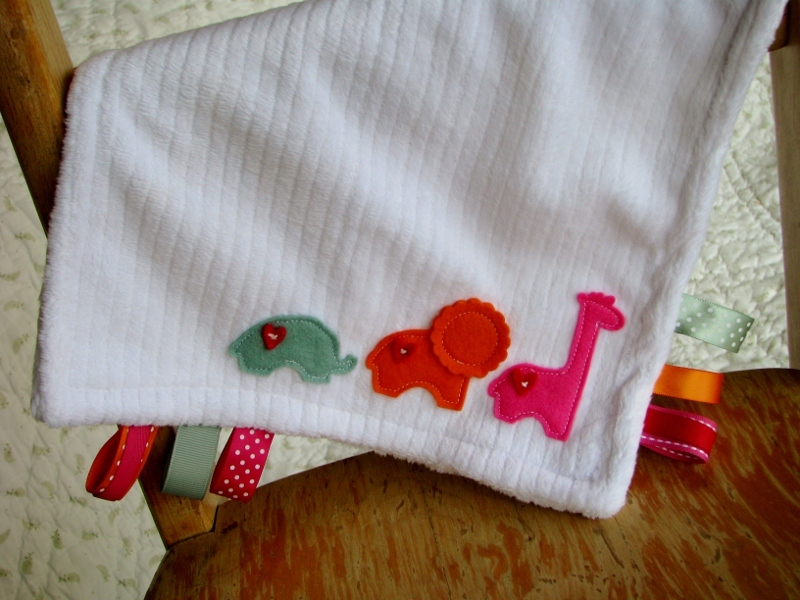 So when I saw the little animals in Papertrey Ink's new Sweet Baby set and the matching die to go along with them, well, of course, a little blankie was in order. And to make it extra special, some Papertrey ribbons on the sides make it into a little "taggie" blankie for little ones who love to play with tags. 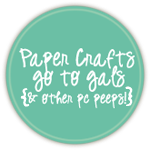 And if your sewing skills leave a little to be desired, no worries... this project really is totally simple, not to mention affordable. 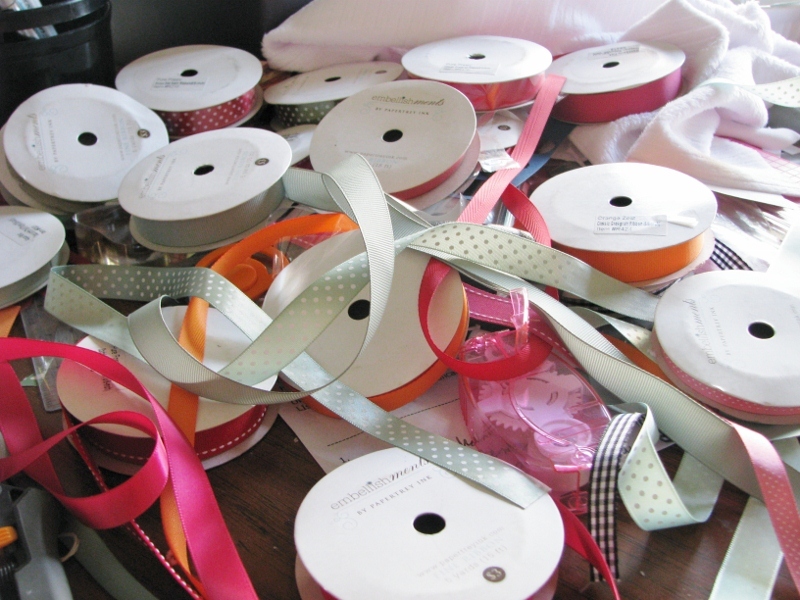 As long as you have a sewing machine and a few straight pins, you'll be just fine. For the base of my blankie, I purchased some white striped minky fabric from my local Joann's store. I had them cut it at exactly 11" giving me a grand total of $3.44 in fabric... gotta love that. Besides the price, I also had them cut it right at 11" for me so that I only needed to cut one more edge to get (2) 11" squares. 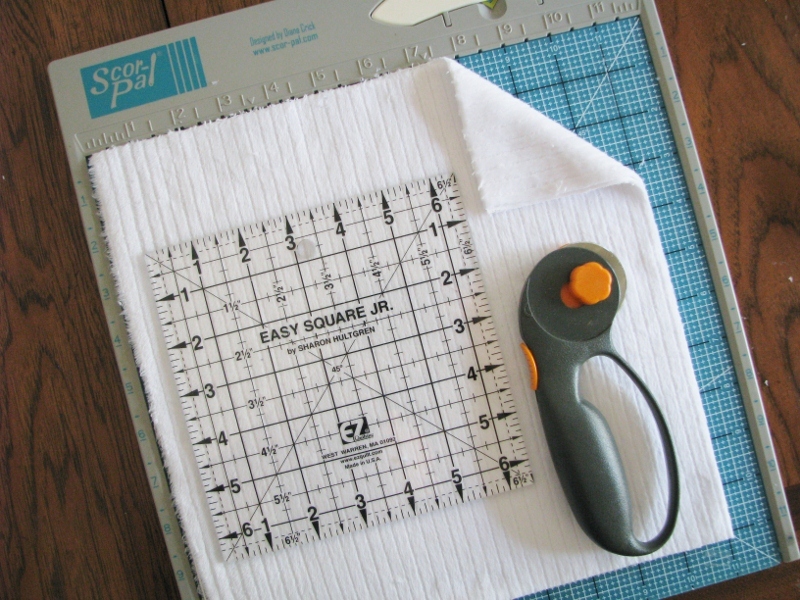 Just fold the fabric together and cut at 11" to finish the squares off. I used the Sweet Baby die to cut my felt animals in Raspberry Fizz, Orange Zest, and Ocean Tides. I also used the circle/heart die in the Love Lives here die set to cut out three little Pure Poppy felt hearts. 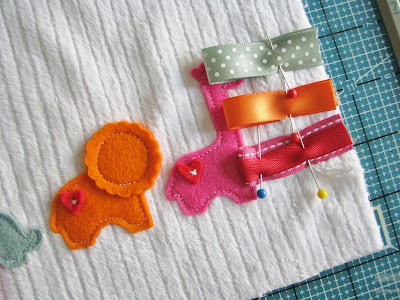 At this point, you may find it helpful to stick the animals to the minky fabric with a bit of felt glue. I added just a bit of Beacon's Felt Glue to the center of the animals and then stitched the hearts in place with a tiny "x" and a bit of embroidery floss. They're all ready to be stitched up with the sewing machine now! If your embroidery skills are better than mine, you might prefer to just embroider the edges with embroidery floss :) I took the easy route and just used my machine. A few tips... I had to tighten the tension quite a bit due to the fluffy fabric to keep my stitches tight. I also shortened the stitches quite a bit to work around those curves and corners more easily. To add your taggies, it can be a bit counter-intuitive. 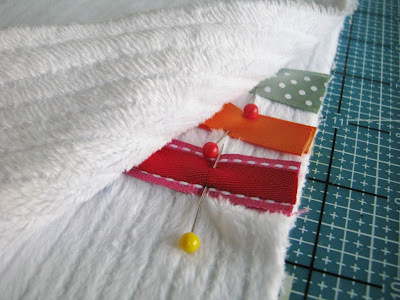 Pin your ribbons down so that they are on the front of the blankie, facing inwards. If you turn the taggies the other way, they'll end up inside the blankie when you turn it right side out. I found it helpful to pin the tags up higher (closer to the folded end of the tag rather than the cut end of the tag). It just makes it easier to see all the pins and make sure you get them all later. Once everything's all squared up, just stitch around the edges (I left a 1/2" seam allowance all around). 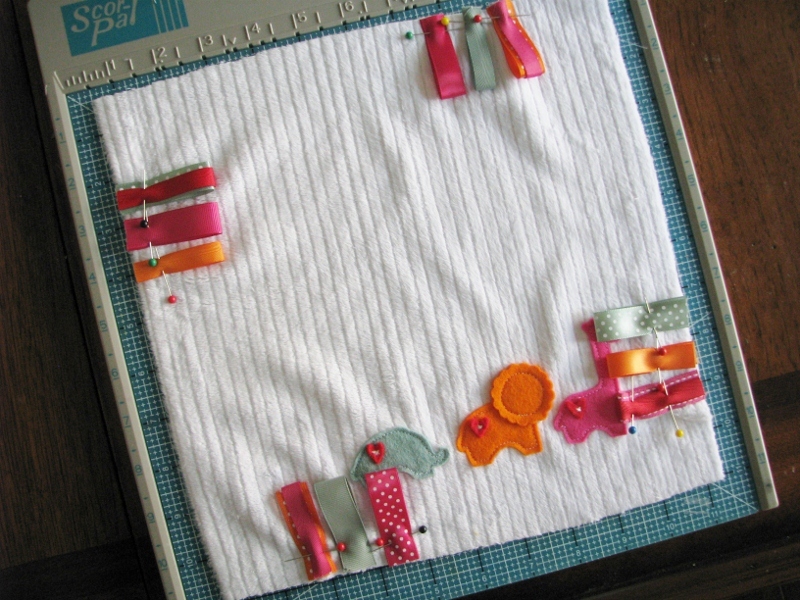 Make sure to leave one section unstitched so that you can turn the blankie inside out. I trimmed the corners a bit at this point and some of the extra allowance to help everything fold down nicely and then turned it right side out. That leaves you with a little hole to hand stitch shut. If you use minky fabric, you're in luck because all the fluffiness makes it super forgiving for hand stitching. You can see that I also added a little extra stitching around the edge of the finished blankie... that just seems to finish it off and helps give it that "boutique" look. 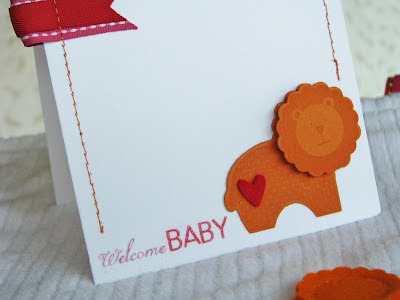 I stamped the little lion in VersaMark on Orange Zest and added a little felt heart to him as well. The sentiment is from Papertrey's new Bundle of Love set... I just masked the two words and split them apart to work with my design. 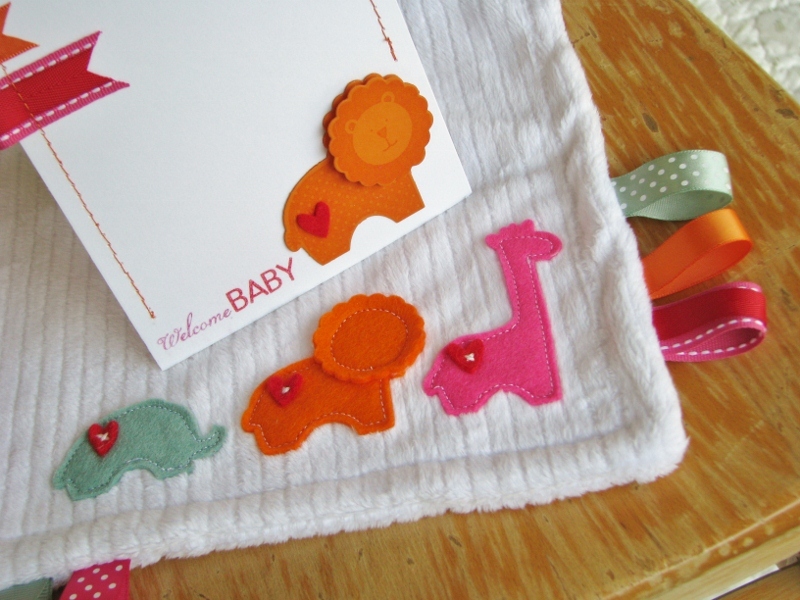 A super soft, super sweet, handmade baby gift and card all ready for a new mommy and baby. I guess I'll have to make another. I'd love to know what you think about my set! Back tomorrow with another countdown project! I am sooooo going to do this for my cousin, who is expecting and due in December. Love, love, love it!!! And the matching card? Awesome! 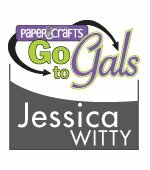 Really Jess...you totally kill me with the awesome projects. I'm going to a baby shower tomorrow.....how soon can you get that blanket over here? Love the matching blankie and card set! What a simple way to make cute gifts. You are a genius. Have I ever told you that before! Absolutely love all of this! Well, I think it's brilliant and super cute! Well done! If I could only get ambitious, I'd make this for my nephew's new son due next month. It is a-d-o-r-a-b-l-e and such a treasured gift. Cute, cute, cute! I really wanted a taggie blankie for DD when she was born, but they are STUPID expensive, so I now make them for my friends babas. You are right about them being so easy to meke and really cheap too. I have also started making baby shoes, which are not so dificult to a sewer, and as a set, they just look wonderful together. 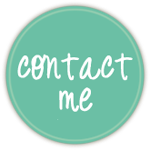 You can see my example on my blog. I would LOVE to use this PTI set to jazz up the blankies - and how cute would little shoe toppers be in these animals !!! Wauw! This is soooo cute!! Great idea to make this yourself, I bought quite some of those label blankets as a gift for a new baby and they all love it, but now you show us how easy it it to make them yourself!!! Love it! It's perfect!!! Cute, cute, cute!! This is a great, sweet little gift! I love the white and bright colors, so cheerful! ummmmm hello!?! GENIUS!! So so cute! 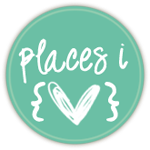 I'm only new to your blog but I tell you waht--Imma comin' back!! I've already clickedy-clicked the "add to RSS feed" thingo button-so glad I found you! Oh my...these are so adorable Jessica. I have four boys..two of whom are in love with their blankets...absolutely adorable baby gift! Love, love, love them! Sweet sweet project!!! Thank you so much for this tutorial and tips. So adorable, Jess! 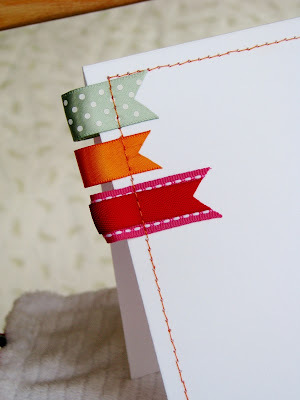 LOVE the colors against the white fabric, and the little satin ribbon taggies are too sweet! I want a Minky Blankie now, too...hey, it looks to be just the right size to fit in my purse :) Thanks for sharing all of your sewing tips! Absolutely adorable! All 3 of my kids carried something (both girls had blankies, although my first born called hers mimi!) 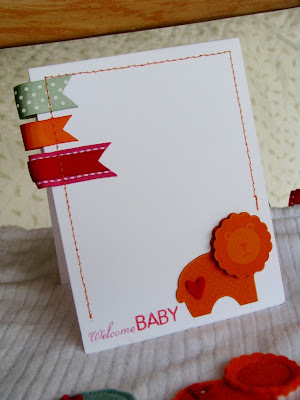 I just love your blankie, so cute and colorful, and the matching card is super sweet! I love this! Super cute!!! Thanks for sharing your darling project! Just a wonderful blankie, with a matching card to go with-- very precious! This is SO sweet and creative! Love the little ribbon tags- our son had a 'special corner' that had been zigzagged extra to finish that he loved to play with. He would have loved this, and it is so quick to make. He is in college now so don't think he would appreciate one, so may have to make some as a donation to our local women & children's shelter. BTW, his special 'boppie' became a part of his tooth fairy pillow, and I hope to pass it down to his kids one day, so don't throw out those ragged remainders! OMG, I love it!! Awesome job! This project was a work of love! How sweet that little blankie is! Thank you for showing how you made it. I have never heard of "taggie blankies". But I think you made an adorable one! Congrats to your friends. What a sweet baby gift idea! I believe there is a genius in the house! Marvy cuteness! I love the matching blanket! I'd love to make one too. Thanks for the idea. I was not interested in having these dies until I just now saw your blankie project. It is soooo cute. And you make it seem so easy. 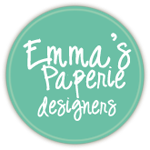 I could see me making burp cloths, hand towels for the kid's bathroom, putting felt animals on my daughter's t-shirts, or on a baby onsie...holy cow the possibilities are ENDLESS. Thanks so much for sharing your creativity!! !